Most often, however, those who are negatively impacted by wireless technologies and electromagnetic pollution, are individuals whose voices aren’t heard outside of courtrooms and city halls. In Canada, for example, journalist Rodney Palmer spoke to local government about a “wi-fi disaster,” which actually hurt a number of school children, resulting in the removal of the school’s wireless network. Interestingly, firefighters have for years opposed the placement of cell towers near fire stations, arguing that the effects of the towers disrupt living conditions for firemen and can cause neurological problems. A study was done for an incident occurred with a group of Los Angeles firefighters in 2016, and is recounted in public testimony from veteran firefighter and Union president, David Gillotte. Gillotte speaks on the need to protect firefighters and stations from cell towers. There is something very very wrong with this picture. David Noakes – businessman, philanthropist, pioneer, and NHF Vice Chairman – now sits behind bars in an English prison. His crime? He cured people of cancerand other diseases. Did he make money off of it? Yes. Did he also donate an unheard-of 25% of his GcMAF product to poor people who could not afford it? Yes again. Most importantly, did he make a cancer-solution available to thousands of people who previously had had no hope of living? Absolutely. GcMAF is not a synthetic pharmaceutical drug, with all of the risks that a newly created chemical may have. GcMAF is a natural protein that is already inside billions of healthy people. There are zero fears as to its safety. GcMAF also exists in less than a billionth of a gram, so even if it had been arsenic it would still have been quite safe. As an added bonus, GcMAF injections are administered at a fraction of the cost of the typical toxic chemotherapy treatment, have no side effects, and are far more likely to result in a successful outcome (1.5-2.5% success rate for chemotherapy; 75%-100% success rate for GcMAF depending upon the type of cancer). In fact, 100% of those treated by Noakes’ clinics for liver and pancreatic cancer survived. Both cancers are typically death sentences for anyone diagnosed with them and the survival rate is invariably one year from the time of diagnosis. Indeed, Maureen Kennedy Salaman, the NHF president before me, died of pancreatic cancer in 2006, unfortunately before GcMAF came onto the market. It was health writer, author, and researcher Bill Sardi who really first broke the story about GcMAF research back in 2008, published in Health Freedom News that year and the next. The story then took off from there and will not go away. In May 2011, Doctor Jeffrey Bradstreet called Noakes from Georgia, USA. He wanted to use Noakes’ GcMAF for autistic children. Although Noakes doubted it would work, Bradstreet insisted. Just eight weeks later he called Noakes back saying he had the best results he had ever experienced. Of his non-verbal autistic children, some were speaking normally, and no longer autistic. He later stated 15% recovered, and a further 70% were improved to some extent. He and Noakes co-wrote two scientific research papers, one in the journal Autism Insights. Inspired, Noakes and his scientific team developed Goleic, an improved form of GcMAF in June 2013, and they then saw that 25% of autistic children were recovering. Two years later, Bradstreet was murdered soon after the authorities raided his clinic. His killer has still not been found. Ten other “autistic” doctors went with Noakes’ GcMAF and treated 3,000 children. From April 2012, Dr. Nicola Antonucci treated 400 children; he found GcMAF the most effective treatment he had ever used with autism; it improved 80%, and he wrote a laboratory research paper with Dr. Siniscalco and Dr. Bradstreet on the endocannabinoid system and the evaluation on genes and proteins activated by GcMAF in autistic children. They found that “GcMAF treatment was able to normalize the observed differences in dysregulated gene expression of the endocannabinoid system of the autism group.” That is part of the reason GcMAF works with autism. Well, thanks to the U.S. Food and Drug Administration, the UK Medicines and Healthcare products Regulatory Agency (MHRA), and various other EU regulatory authorities, true and effective GcMAF is no longer on the market. Sporting no soul consciousness whatsoever, the FDA and MHRA thugs dutifully carried out their marching orders to suppress all competition to the $200 billion cancer industry. David Noakes’ product did not hurt a single patient but instead cured or helped the vast majority of them (11,500), all while costing those patients either nothing at all or a mere fraction of the cost of chemotherapy, radiation, and surgery, the only permitted cancer treatments allowed in Anglo-Saxon countries like the United States and the United Kingdom. One could almost be led to think that the authorities wish to never find a cure for cancer. After all, it is way too profitable. So, it should be no surprise to anyone then that while the FDA blocked GcMAF shipments into the United States, the other rogue-agency MHRA in England and on the Crown-island of Guernsey swooped down on Noakes’ and others’ GcMAF manufacturing and distribution facilities, conducting 33 persecutions that included Noakes being forced to watch 12 formerly terminal patients, who had been recovering from cancer, die on Guernsey after the MHRA banned GcMAF, 14 raids by over 100 officers, all of his savings seized, the closure of his bank accounts and company, 4 scientists, 7 doctors and 27 staff members put out of work, arrests with David Noakes seeing the inside of jail cells including the infamous Wandsworth Prison, being transported in prison lorries, the confiscation of all passports, bail and a court case. In all, the MHRA’s ban of GcMAF killed 200 patients outright (not to mention the countless others denied effective treatment), while GlaxoSmithKline (GSK) gets not even a hand slap for the drug Avandia, which killed over 83,000 people. Did I forget to tell you, though, that the MHRA board is peppered with former GSK executives? So, for three and three-quarters years, that is until the week of November 19, 2018, David Noakes and many of his colleagues lingered in that twilight zone of anxiety, apprehension, and forced impoverishment while awaiting trail and possible imprisonment of up to 20 years. One person, David Halsall, had already in fact been thrown into French prison without charges, where he languished in misery until only recently released to await trial there. 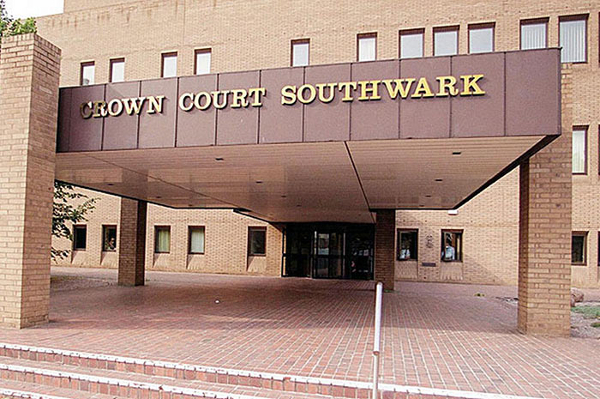 On September 24th, I was in London at the Southwark Crown Court to meet with David Noakes and his attorneys before a hearing later that day where he was to enter his pleas to the seven charges confronting him (six counts for distribution of an unlicensed medicinal product and one count of “money laundering,” which is always present as a charge if anyone makes even one penny off of the sale of an “unlicensed” medicine and is really unfair “double jeopardy”). While David Noakes did not want to plead guilty to any of those charges and certainly not to the completely bogus charge of “money laundering,” the unique British justice system funnels (i.e., strongly encourages) its defendants into pleading guilty at the earliest possible stage of any criminal proceeding. If a suspect admits his or her guilt immediately upon arrest, then the Judge at the time of sentencing has the most leeway in showing mercy, whereas by law that leeway declines with time until at trial if the defendant loses, then the Judge will have no leeway whatsoever in showing sentencing mercy. And since Noakes was facing 10 years or more in prison for what is considered a “strict liability” crime with no jury trial possible and conviction probable, he was effectively forced to plead guilty to all charges except one, which his attorneys negotiated away and was dismissed. The MHRA case was heavily based on fraud: They had never heard of GcMAF. Even to the end, the MHRA and its court counsel, Gillian Jones of Red Lion Chambers, seemed totally incapable of informing themselves by reading research papers and didn’t even look at PubMed (the U.S. National Library of Medicine), which has 70 GcMAF papers stored in an easy-to-find location. Indeed, in court, Ms. Jones ignored all of the evidence presented and simply steamrollered ahead on her ridiculous mission to present David Noakes and GcMAF as a fraud. For those who think that women in law bring a higher level of ethics to the profession, they only need to see amoral Gillian Jones as complete disproof of that silly notion. She was Evil Personified, sporting a powdered wig as her only disguise. David Noakes’ defense had always been the truth: That the MHRA has Big-Pharma directors, has always failed in its stated mission to support new treatments and instead shuts down natural treatments like Vitamin B17, CBD oil, Zara’s tea (Combretastatin), and now GcMAF. MHRA would rather license pharmaceutical drugs that kill. Opiods, Vioxx, and Avastin have killed 450,000, while GcMAF never killed anyone. Moreover, eleven public bodies and persons have stated that the MHRA is unfit to do its job. MHRA would clearly never give Noakes a license for GcMAF. The Medicines laws have been put in place by Big-Pharma lobby money for no other purpose than to create a monopoly for themselves alone that excludes innovative, new treatments and small companies such as Noakes’. And the public’s health be damned. During the entire week of November 19, 2018, David Noakes’ legal team was allowed to produce witnesses and other evidence in favor of a more lenient sentence before the Honorable Nicolas Loraine-Smith, who by all appearances was tough- but fair-minded. Indeed, during Noakes’ own time upon the witness stand, the Judge treated David Noakes more gently and kindly than did Noakes’ own attorney! In the event, of the 20 witnesses whom Noakes wanted on the witness stand to testify on his behalf, his own counsel only placed one of those witnesses on the stand and even then only for a very brief time. David Noakes himself had to carry the testimonial burden. As one of those 20 proposed witnesses, I myself had flown across the Channel on November 20th, prepared to testify as an authority on food-and-drug law and the predatory practices of the MHRA and FDA. However, at the very last minute, just before I was to take the stand, Noakes’ counsel told me that they would not call me to the stand. David Noakes was horrified, and I was not happy either. I flew home that day thinking very ill thoughts of his trial attorney. Ian R. Crane did a very creditable job of reporting on this week of hearings, and his somewhat verbose daily reports can be viewed here, here, here, here, here, here, and here. The unsung heroes and heroines of this week, though, were the numerous friends and supporters who turned out despite the cold, rainy weather every day to attend the hearing and who packed the courtroom’s public gallery with friendly and sympathetic faces. These angels were a strong counter-weight to the MHRA minions lurking around and darkening the doorway of the courtroom. As it turned out, David Noakes held up well, despite being on the witness stand for hours and with unfriendly questioning by both his own attorney and the prosecuting witch. (I saw her and, yes, she does look like a witch to me, although I do not intend by this to insult witches with such a comparison.) On the witness stand, and even though admitting that he was not a scientist, Noakes showed an amazing grasp and knowledge of GcMAF, the science behind it, and its current application. In fact, Noakes knew more about GcMAF than all of the people in the courtroom put together. With the hearings over by Friday, November 23rd, it was then up to the prosecution and defense to submit written summations to the Judge on the following Monday (November 26th) with the Judge to then issue his decision on sentencing on Tuesday the 27th. The Judge did just that. Now, keep in mind that Noakes was facing 8 years in prison. That is what the MHRA badly sought and argued for. There was no hope that Noakes could escape without any custodial time (time in prison) as his ex-wife Lorraine Noakes was to get when she received no prison time and probation for the “crime” of distributing GcMAF and saving lives. So, on that Tuesday, Judge Nicolas Loraine-Smith decided that David Noakes had attempted to save lives and that GcMAF could be effective to treat cancer and other diseases. Still, the Judge did not award David Noakes the medal that he deserved. Instead, the Judge sentenced him to twelve months in prison for the “marketing medicinal products without a license” charges and an additional three months in prison for the bogus “money laundering” charge. While this was not what we had hoped for, in the light of the 96 months in prison that he could have received, this was comparatively light (and gracious of the Judge), especially when we hear that Noakes’ legal team thinks he could be released in only four months’ time. The MHRA promptly issued a statement, gloating about their victory. They claimed that the conviction showed that they had been right to stop Noakes, ignoring the hard fact that by doing so they had caused hundreds, thousands, even millions of deaths both now and in the future. 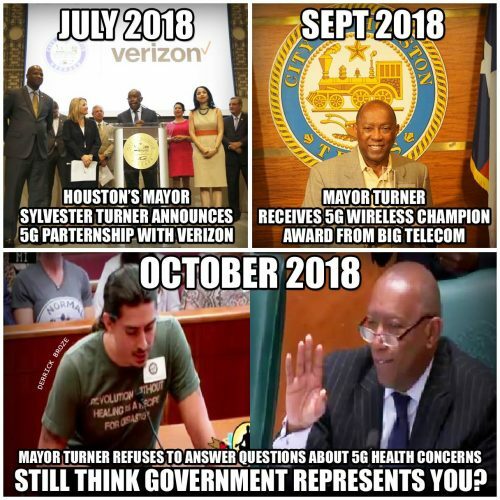 Instead of being ashamed, these thugs celebrated their own ignorance and stupidity while doing what most bureaucrats around the World invariably do: Glorify procedure over outcome. Matt Waterman, a commentator based on the island of Guernsey, aptly pointed out the MHRA’s complete and utter hypocrisy: “So the very next day the Health Department comes, apparently unashamedly, to [Guernsey, where this GcMAF adventure all started] with a proposal to save lives using methodology which is reckless to put it kindly. … The Health Department could have achieved the life-saving objective without the risks which they have taken, whereas in the Noakes case his opponents argue that there is not enough evidence that GcMAF is a life saver.” In other words, the MHRA launches into a very risky project that supposedly is to save lives while at the same time taking down humanity’s best hope at present for defeating cancer with zero harmful side effects. The MHRA’s paymasters must be especially proud of such obedient lap dogs. So, David Noakes now sits in jail, while the real criminals continue to roam freely, killing people right and left with their mindless greed and stupidity. Maybe he will be released from prison in four months or maybe he will not. Either way, this selfless and generous man deserved a medal and not the prison term that a corrupt system forced upon him. Please sign our Petition to the Government to ask Her Majesty Queen Elizabeth II for a Royal Pardon for David Noakes here. And please write David Noakes words of support at: David Noakes – A7081DY, P.O. Box 757, Heathfield Road, Wandsworth, London SW18 3HU England. NHF will keep you current on David Noakes’ situation. Thank you all for your support! I’m ever grateful to Josh del Sol’s production of this video, made at his own expense, illustrative of the passion some people have for social justice. They stick their necks out to warn the public when it would be easier not to. 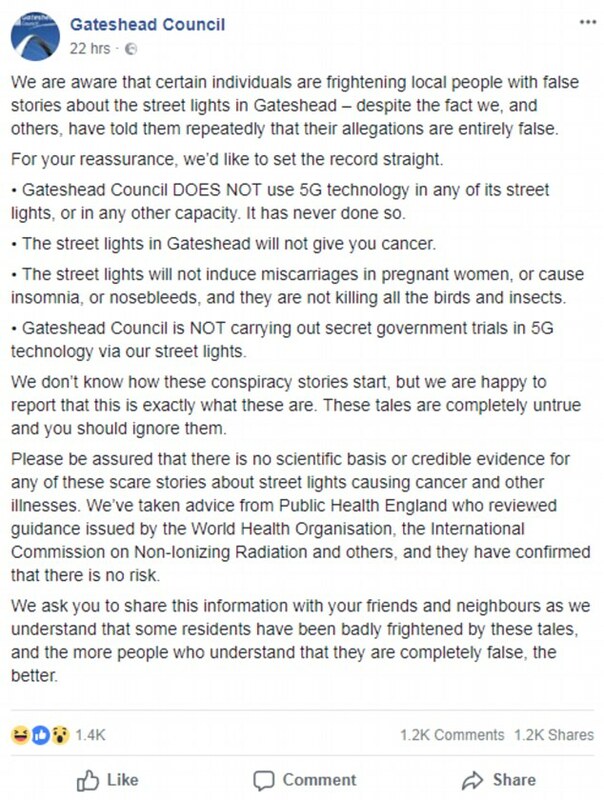 It was my first eye opener to the hidden dangers of smart (dumb) meters, cleverly named to make you think they are the experts. They are not. This meter is not compulsory in NZ, remember this when you are told you have to have one. You don’t. See stopsmartmeters nz website for info on that, and see also our Smart Meter pages for other info and videos on topic. Each installation has antennas on the top and electronics cabinets at the bottom. The electronics are housed in metal boxes – called “street furniture” by industry to make it sound warm and cozy. These cabinets can be larger than a refrigerator, so large people could fit into them. In addition, there will be various radio units, a smart meter, and potentially unseemly wires.